Working in a big industry is a cumbersome task itself. The hierarchies you follow differ, so does the processes. Two enterprises might be working on similar product lines, but the way they carry out their business activities may vary. In-house functioning of an enterprise is unique to its environment and asking for solutions that cater your unique problems is not a crime. Shying away or adjusting to solutions lead to degrading results. You must be wondering these are our words. But to your very surprise, it is not us who are saying this but one of our reputed clients from India explained during our one on one sessions. Well, as we have said already, your wish is our command. Our one-on-one sessions were quite extensive and helped us learn our client’s problems elaborately. Invoices that could be used as gate pass within the three branch factories. An invoice template that was as short as a postcard. Printing bulk invoices at the same time. 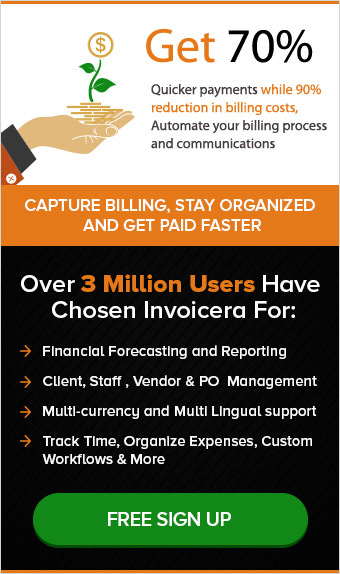 Creating invoices in more than one languages. Need for dynamic numbers for invoices. Need for dynamic reports for analysis. 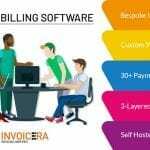 With all the needs in our list, we went forward in our labs of invoicing software to creating a perfect self-hosted solution of online invoice software. With days of mapping the perfect solutions, we finally started on our journey of codings and creating the live invoice software. 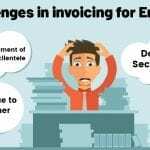 Multi-lingual invoices: As Hindi is one of the prominent language used in the country, our industrialist friend wanted invoices to be created in Hindi for its workers. Hindi is easily read, understood and accepted in the country. 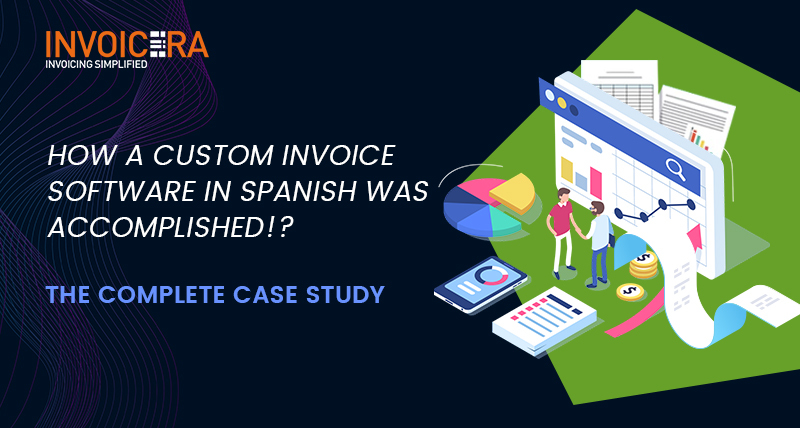 Invoices created in Hindi would provide staff higher clarity onto what products and services they were dealing with.Moreover, these invoices were to be used as gate pass by the in-house staff than just invoicing clients for payments. With multilingual feature the same invoice can now be created in English and Hindi at the same time. Creating an invoice template as short as a postcard:Fitting down all the information of an A4 size invoice to a postcard invoice wasn’t really a walk on the flowers. Making sure the invoice had all the relevant information yet readable was one of our major concerns. It was easily fulfilled by working on right fonts, placements and management from the backend. Bulk-invoice printing:We know you must be wondering “what is with bulk printing?” “what kind of customization are we talking about here?” clearing up all the air! Bulk printing with online invoice software involved printing 10 invoices (Copies) on a single sheet of paper. We had to customize printing options and amend current styles. 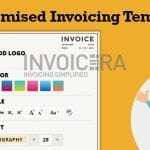 Options to create dynamic invoice numbers:Generally, you’re bound to find and create invoices with ascending number series. 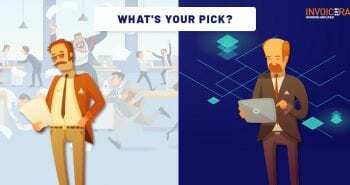 But, what is customization if you cannot change and get processes fit as per your choices. Our client was keen to get invoice numbers customized with alphabetical prefix and suffix. Changes were made and adapted. Another feather in the cap of customization was achieved. Dynamic Reports for analysis: When you’re getting the entire invoice software customized, common reports might not work for you. Knowing the fact, we helped our client understand this need and then get customized reports for analysis. These reports were capable of getting auto-generated for analysis and forecasts. 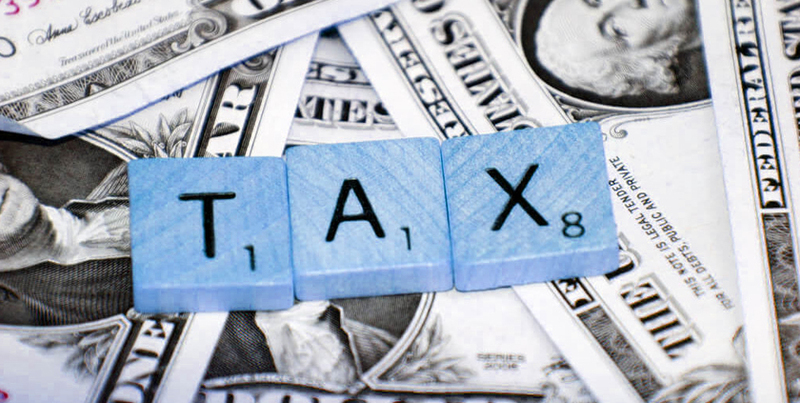 As India has a different set of taxes and policies, it was important to address them and then add them in the invoice software. Custom taxes were added such as GST, etc. 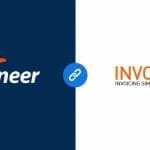 and the entire invoice management tool was set to integrate in the current environment of the company. 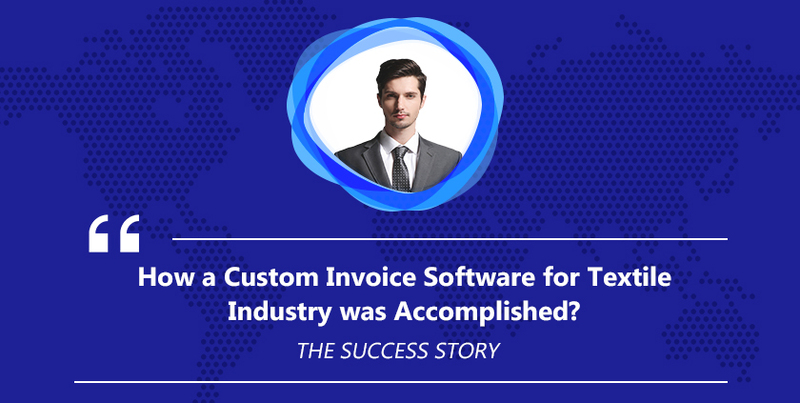 It took us around 4 months to completely customize the auto invoice software for our client from the textile industry in India. It was filled with breakers initially, but sessions of brainstorming and days of application resulted in the perfect solution that all of us were expecting. 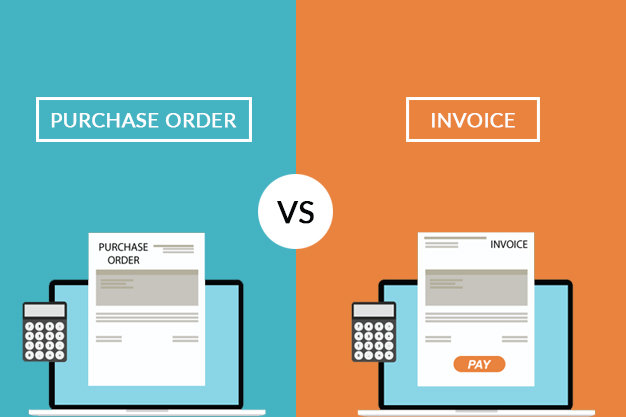 WHAT ARE THE BENEFITS OF ONLINE INVOICE SOFTWARE CUSTOMIZATION? 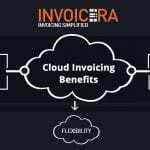 While there are number of benefits we can list here, but one of the core benefits of customized invoice software is that it is your enabler to automate your manual processes online while following hierarchies you have been always working with. 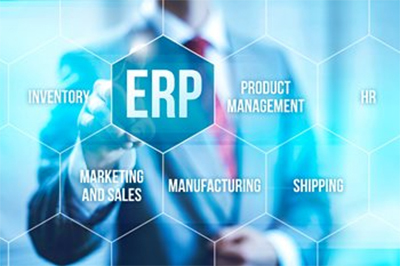 Integration with current ERP and CRM system. Planning to host an online invoice software in your own environment? Tell us about all your requirements and get a custom billing software in your own environment, easily. 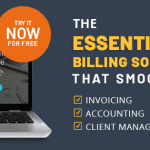 Why 80% of small businesses choose online Invoicing? 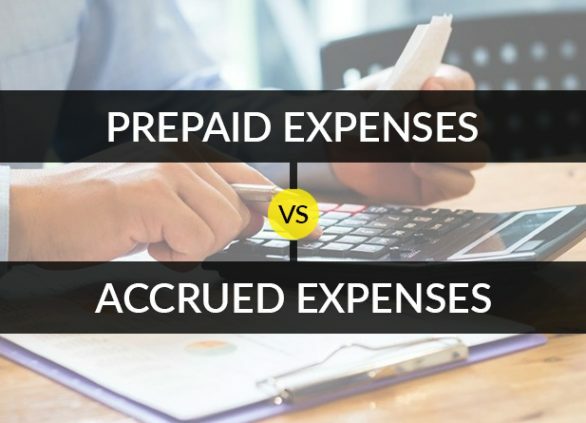 Next postBenefits of Online Invoicing for freelancers that you cannot miss!